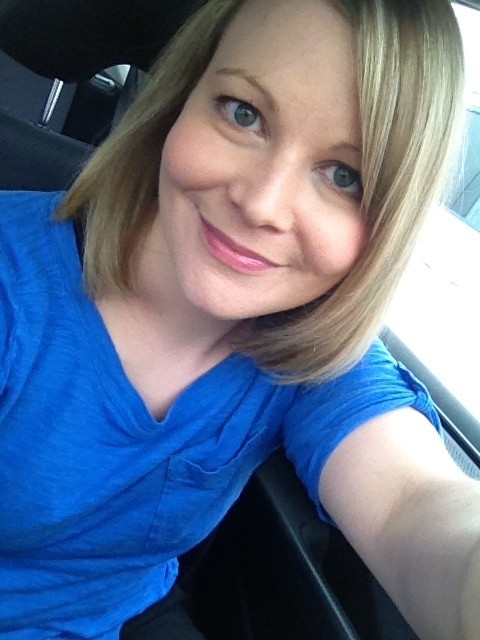 I got highlights and a haircut at a new salon. I loved my stylist and I'll be back to see her. 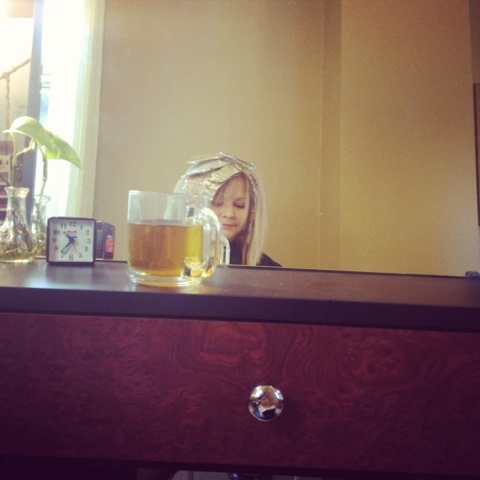 I enjoyed some Aveda comforting tea while I waited. The end result--a lot shorter (I think I got about two or three inches off) and a little darker, with warmer highlights like I asked for. This will be much easier to dry in the morning! As an added bonus, my husband prefers my hair shorter and he was ecstatic to see that I got so much off the ends. I checked out the Outpost in Bayview after. 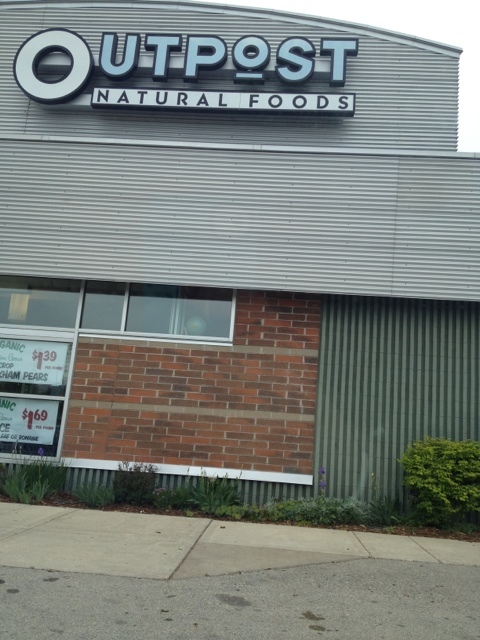 It was my first time to that location and it was such a nice store. I liked the layout better than the Tosa one for some reason. I wish we had an Outpost on my side of town! 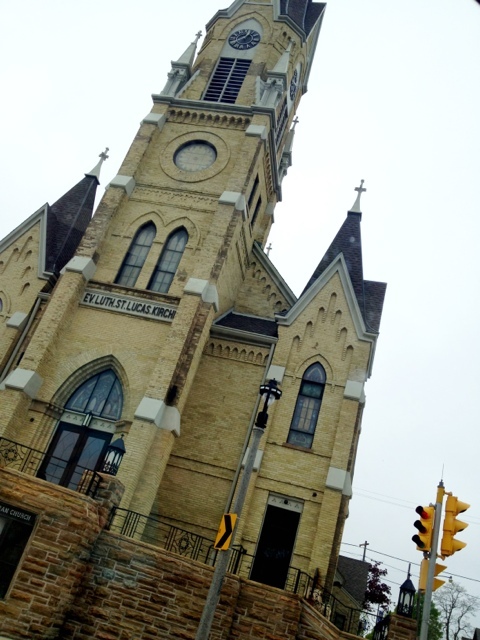 I liked how this church in Bayview said "kirche," the German word for church. After finishing one of the worst movies we have seen in a while, J. Edgar, we headed over to New Berlin. We split a chicken burrito for lunch and enjoyed some chips and salsa. 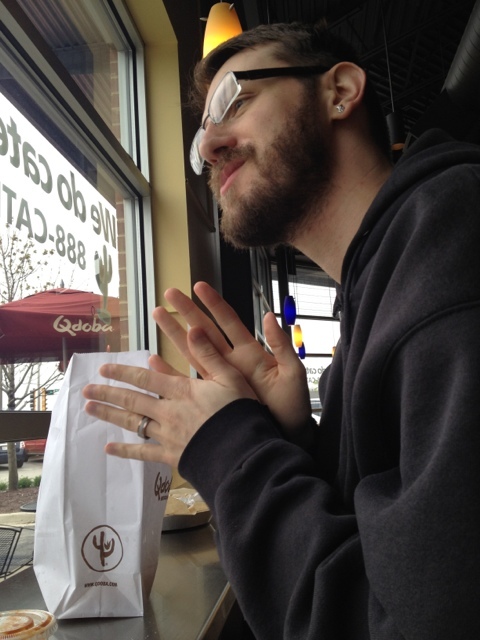 I like my husband's happy Qdoba face here (he was brushing the salt from the chips off of his hands I think). 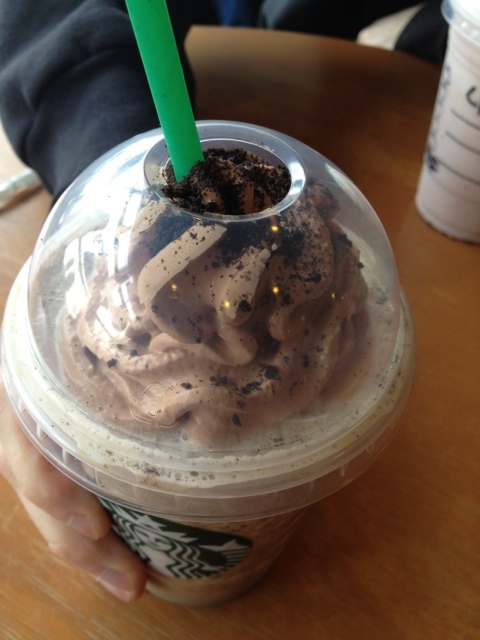 Then it was time for Starbucks' frappucino happy hour! 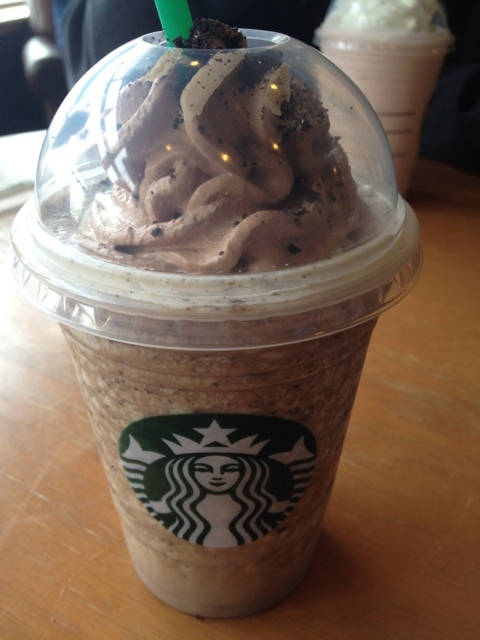 I had the new Mocha Cookie Crumble flavor to satisfy my chocolate cravings. I liked this drink because despite what you may think from the name, it didn't taste overly sweet. I liked the chocolate flavored whip cream too. 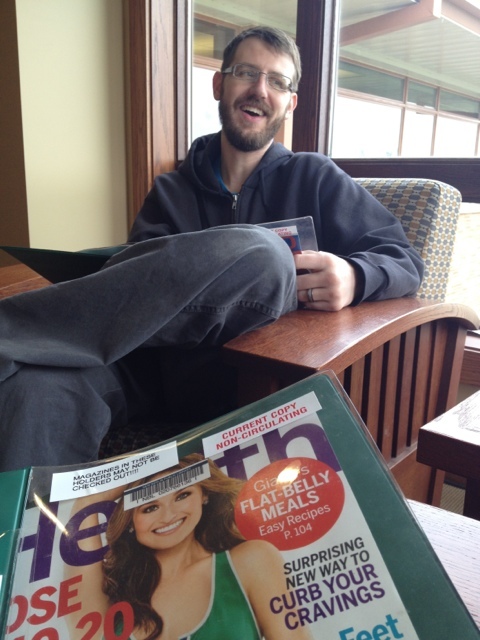 We ran a bunch of errands and then hit the gym to burn off those frappucinos! Today flew by with a trip to the New Berlin Farmer's market (opening weekend = a very small market) and more errands. We're on the hunt for a filing cabinet for me and it's not been easy to find one I/we like. I've been eating a lot of junk today and we're having salads for dinner to balance things out. It's a miracle that my husband will eat salad because he never does. He liked the smell of the salad dressing I made in the shaker the other day and he just needed some "normal" lettuce instead of my regular spinach to convince him to eat a salad this weekend. Time to go be productive and clean the house!